Famous Greek philosopher and mathematician Plato, quoted this in around 300 BC. But it fits in today’s business context as well. Well… let us look at it this way. You realized that inaccurate pen and paper route planning is costing you excessive fuel costs. So, you decided to go for route optimization software. You contacted a provider and they assured that you would get 100 percent accurate routes. You were assured that it would reduce your fuel cost by a wide margin. Thus, you immediately bought the software. You are happy now because you do not have to bear unnecessary fuel expenses anymore. You now have a route planner that takes care of every inaccuracy. Two months pass by… and you find your routing optimization software has not made much of a difference. Most of the routes that your drivers get are the same as before. To add to this, some of the planned routes even had roads that don’t exist! Probably because the software software doesn’t have the latest route and traffic information system. Well… this can happen to you if you choose a wrong route planner for your business. The provider will make tall claims that their product will reduce your fuel usage by 40 percent. …. And this is only to make you happy. Because the question is, how will their app make this happen? What features do they have in place for reducing the fuel usage by 40 percent? And, is that a valid justification? So, you need to analyze and ask critical questions before making a decision. There are a few things you must check in order to decide if their product is the right fit for you. This will ensure that your effort and money do not go in vein. …. And, it is not just fuel usage. There’s more to it. But, do not worry. You do not need to search anywhere to gain the necessary knowledge. 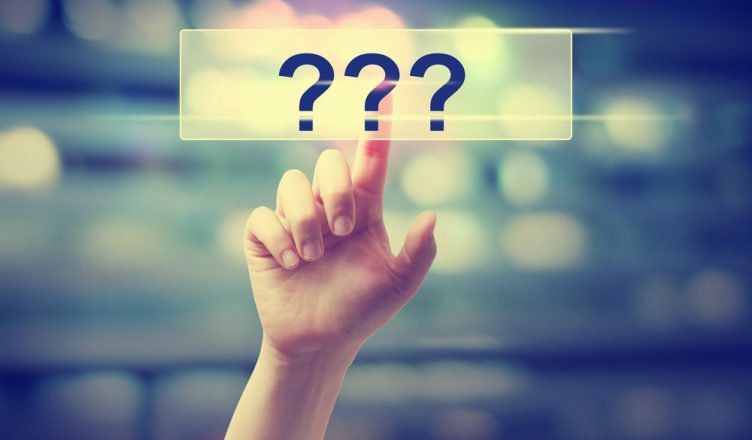 Here are 9 questions that you must ask your vehicle route planning software provider… so you can make an informed decision. #1 Do I Need to Sign a Long-term Contract? This is a key question you must ask every route optimization software provider. If you sign a long-term contract with them and you’re unhappy with them, good luck getting out of your agreement. A good example of such long-term contract is an annual plan. So, even if you find them inefficient, you still have to continue using their service. Look for services that come with a quarterly or monthly contract. This way, you can leave or extend the service as per your needs and not as per the provider’s demand. #2 How Long Have They Been in the Business? Do you agree that buying any product from a brand new company is risky? This holds true for your route scheduling software as well. The algorithm behind route planning is complex and needs years of experience and experimenting to get your routes fully optimized. You cannot expect this from a company that’s been around for less than a few years. A new company may not be able to ensure a perfect algorithm because of lack of expertise. That means they might experiment on you… to improve their product without your knowledge. Can you afford their experiments at your expense? So, look out for providers that have at least 2-3 years of experience in the route planning business. Moreover, they must have already planned thousands of routes specific to your industry. #3 Do I Need to Pay Any Other Fees Later On, Apart From the Subscription? You may think that the subscription fee is the only amount you need to pay to use the fleet route planning software. But, later on, you may find that you need to pay more expenses that were never disclosed to you. For example, you may need to pay an extra amount per driver or vehicle or even per stop. So, you should ask about hidden expenses at the beginning. #4 Where is Their Support Staff Located? You may come up with queries or challenges while using the software. Nothing is error free… even long-standing software. So, you need access to great support staff that should be available at your service whenever you need them. This is to ensure that your business does not have costly downtime because of a technical problem. But, if the support team is located in a non-native English speaking country, things can go worse. It is possible you will find it difficult to understand their language. They may not be able to understand your problem properly either… because of the difference in accent and language… often leaving you with no way to solve your problem. So, go for a routing software provider that has a native English speaking support team. A bonus if they are open 24/7. #5 Can the Route Optimization Software Remove Routes Automatically? Your business will grow over the years, and so you need a dynamic route planner. A route planner that can learn and evolve with your business needs. It should be able to remove unnecessary routes or the number of drivers you need on its own. … And this is only possible when it has the ability to analyze the data collected from YOUR business… not just averages or compiled data. So, ask your provider if their fleet routing software can act as an automatic route eliminator as well. # 6 Do I Need to Buy New Hardware? Many legacy software providers still require you to purchase hardware for your vehicles. If you do some research on how technology is advancing… you’ll see that mobile phone, laptops, and tablets is the direction everything is moving towards. Thus, refrain from buying a planning and routing software that needs you to buy hardware… like WiFi connected GPS devices. Go for a route planner app that is cloud-based, and is accessible from anywhere and at any time. All you need is a smartphone. In this way, you do not need to install any application or even purchase hardware equipment. We are living in an era where everything from Google Drive to Facebook is on the cloud. So, why would you stay behind? #7 Do They Offer A Free Trial and Free Setup? Moving your entire route planning process to new software is risky if not done properly. Your team may commit mistakes in operating the software. And this can affect the entire route planning process. 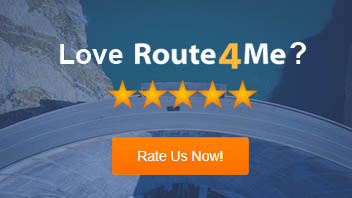 So, look for a route optimization software that offers a free trial. Also, the provider should help you set up the software for free. No amount of review reading will beat experiencing the software for yourself. #8 How Long is the Learning Curve? What is the main purpose behind your decision to go for a routing optimization software? To save time and money, right? If the software needs significant time to learn how to use, that will mean more training time… and more productivity lost. So make sure the software is easy to use, both for you and your employees. Look for specific onboarding processes and a dedicated training team from the provider. This will make your transition smooth and easy. #9 Can the Route Optimization Software Track Drivers? You may plan a well-optimized route and share with your drivers. But, can you ensure that your drivers are following it the way you want them to? They may take a power nap during working hours, or get their personal work done. This will annoy your customers if the drivers don’t reach them on time. Also, what if the vehicle breaks down in a remote area? How would you send the driver roadside help? 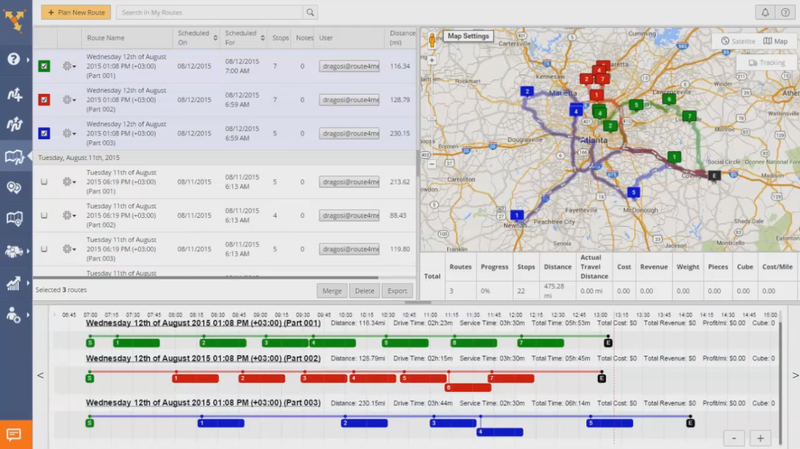 You can swiftly handle any situation if you have the ability to track your drivers in real-time. This will help you re-route another driver if a driver is falling behind schedule. Also, you can identify which drivers you need to keep and whom to train further. Bonus Question: Can I Edit My Routes during the Middle of the Day? There could be instances when a customer lets you know that they will not be available as scheduled. Are you an urgent pickup request came on your during the middle of the day. What would you do then? If your software does not allow you to edit and update your routes in real time, you will have no way to inform the drivers without putting every other stop they need to make in jeopardy. You will lose the flexibility to reroute them to another customer as a replacement. As a result, you will end up spending unnecessary time and money with zero results. Now, this may annoy your drivers. So, make sure you ask about this feature. It may help you plan same day delivery or last-minute pickup. If it is possible to add multiple constraints to the system, such as distance, time, and weight. If it gives you the ability to visualize customers on an interactive map. If it allows you to plan and avoid driving before sunrise and after sunset. If it lets you import data from other programs such as Google Drive and Dropbox. So, irrespective of the route optimization software you choose, make sure to weigh its features and benefits based on your needs. Do you have any points to share? Please feel free to leave your comments below and thanks for reading! Are You Still Planning Routes Without Software?